See I’m a big fan of Subway’s cold hard truth. “Eat less fat!” I thought that was marketing genius. 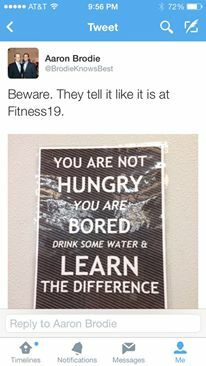 Fitness 19 might be on to something. Made a pretty funny blog. Keep it up! !